This week has been a fun week for me running even though I have not logged many miles. I am still trying to recover from some muscle issues in my right thigh so I am still taking it easy and running a lot fewer miles. The leg does feel like it is getting better, but I am still not completely out of the woods yet. The thing that has made this week a fun running week has been the company I have had to run with. My brother in law, Brian, brought his family from Indiana to spend spring break with us in Atlanta. We have had the opportunity to run together four times, and I hope I was able to make a positive impact on him with running which will help him to continue and fall in love with running like I have. I think a little background information will help you understand why I think this is so cool, and why I am so excited about it. Brian has been a smoker for the past 15 years. This past January both Brian and his wife decided to give up smoking. I have to admit we had heard that before, but something was different this time. He had already been talking a little bit about running at Thanksgiving when we were visiting. Over the past few months he has been telling me on a regular basis that he was going to run with me when he got here. I was looking forward to this and enjoyed hearing about it each time he called his sister to tell her about how he tried running again. These calls would be mostly about how he thought he was going to die and how his fingers, lips, and toes were going numb. These are some of those additional pains a long time smoker has to deal with when starting to use their lungs in a way they haven't used them in a long time. When they got here Saturday he was ready to hit the road running... literally. We went for our first run together and kept it at a mile. He did great and was ready to go the next afternoon when we headed back out to run two miles. He did great for the first 1.5 miles, but then started to fade for the last half mile. Tuesday, just a couple days later, he joined me at the running club and ran 2.5 miles, without really showing signs of fading till after the two mile mark. Today was the last chance we had to run together and he wanted to try to take it a little bit further. He wanted to run three miles and so I suggested we add the extra .1 to make it a 5k. He was in and so we hit the road this morning for his first 5k. He started to tighten up a bit from what he had put his muscles through this week and we had to do a bit of walking in the last mile. I know he was a bit bummed about this, but I am still very impressed with how far he has come since he quit smoking. I am confident he will keep progressing, and I am looking forward to the first race we can run together. I will have to pay for it as he told me he will never pay to run, but I am thinking it will be worth the cost. 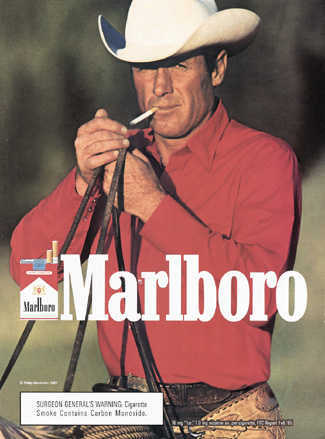 The Marlboro Man best be careful. I remember a conversation that was had in the first run that Brian mentioned some ugly plans he had for him in the event he ever ran into him. running is better than any drug. i just gave up drinking for the rest of the running season, and instead of missing alcohol, i find myself using that as an excuse to put more miles in. Definately better to run than to smoke. 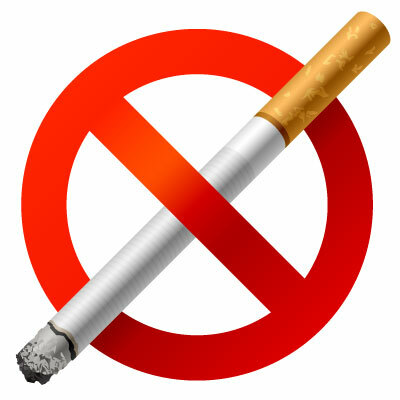 Ex-smoker here. Quit at 33, began running at about 37. Running has made it so that I can never go back to the stick that enslaved me. I love running too much to go back. For my next ultra challenge, I'll be putting the wine and sugar aside, (not necessarily for good) but for some long-time training. Who knows, maybe I'll give that up for good too. So happy for your brother-in-law. You have been a great influence on him. It's a beautiful thing to be free from cigarettes. It's even more beautiful to be able to RUN! That is awesome! Congrats to your brother in law! Wow. I love to read stories like this, and good for you inspiring someone to take up running and giving up the smokes. I just wish I could influence my family as much, both brothers and my sister still smoke. Of course they live in England where it's still pretty much "normal" to smoke. Sigh! To quote Matthew Sanford, wonderful things happen a little at a time. Thanks for sharing this Tim. That's awesome news. It's nice to help inspire someone to run too. Thank you so much Tim. I must admit I wasn't sure how this running thing would work, but it's nice to be doing it again. I also want to thank everyone for their words of encouragement, and I'm sure Tim will keep you posted. Thank you all! Awesome Brian! Keep it up, you have made a great choice. I'm a former smokestack. What a gift it is to quit! More power to him-- and you for setting the example of a life change! Thanks Charles! Good on you for giving up the alcohol for the running season, I hope your dividends are hugh! Thanks for the kind words Lauren! 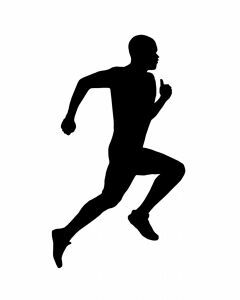 Good for you giving up smoking, I can understand how running will help you never go back. Thanks Christi! He is pumped right now. I need to keep after him and help him find a goal race to help keep him motivated! Thanks Janette. I understand. I think people have to want to quit. It is hard to convince someone that doesn't want it already. Brian made that choice, and I don't know what (if any) influence I had on that. Bob, thanks for the kind words. You can trust I will keep after him! Thanks Beth! Good for you quitting as well. You should share that often, as it gives people like Brian hope that they can come back from smoking, and that it doesn't have to define their entire life. Thanks for sharing! It's awesome to motivate someone else like that! Thanks Chanda, it is one of the most cool parts about running, and writing about it.